Smart Ruler Pro is the 1st set of Smart Tools collection.It integrated 6 simple and useful tools into this app. Here is the list.1. 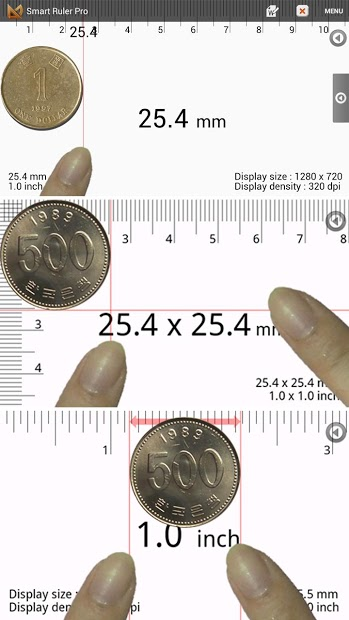 Ruler - length2. ProtractorⅠ(Touch) - angle3. ProtractorⅡ(Plumb) - slope4. ProtractorⅢ(Camera) - goniometer, clinometer5. Surface level - sprit lev... Lihat lebih banyak Smart Ruler Pro is the 1st set of Smart Tools collection.